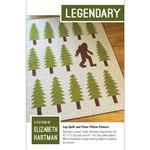 ABOUT ELIZABETH Hartman.jpg Hello! 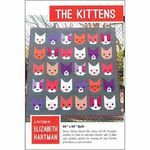 I’m Elizabeth Hartman, a quilter, pattern designer, and fan of color from Portland, Oregon. This site is where I post about my work. I’ve been making things my whole life but, when I made my first quilt in 1999, I was hooked and have been making quilts ever since. For me, quiltmaking is the perfect combination of creativity and technical challenge, all in the service of making a useful object. Before I was a full-time quilter, I worked at a variety of disparate jobs. I made patches for high school letterman jackets and sports uniforms, I worked for the Portland Opera (not, I hasten to add, as a singer), and I was a commercial mortgage closer for the better part of a decade. It was while working at this last job that I discovered the online quilting community and started blogging about my own work. I’m self-taught, which means that I did everything wrong at least five times before I figured out how to do it right. So, when given a chance to write my first book, I wrote the book I would have wanted to have when I was teaching myself. 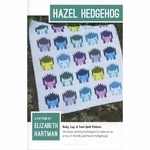 That book, The Practical Guide to Patchwork, was published in 2010 and won the Next Generation Indie Book Award (How-To Category) in 2011. It has subsequently been translated into French and German. My happiest moment as an author, still not matched after writing two more books, is finding out that the Multnomah County Library bought 10 copies of Practical Guide, including one for the Gregory Heights branch. That means the library I used to ride my bike to as a child now has a copy of a book that I wrote. 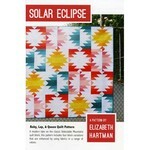 At the end of 2009, I quit my day job to pursue quilting full time. Since then, I’ve written two more books, Modern Patchwork (2012) and Patchwork City (2014). 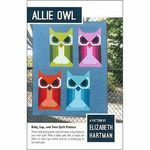 My work has also been featured in a variety of other books, publications, and media, including: Stitch, Quilt Scene, Fons & Porter’s Love of Quilting, Patchwork Tsushin, and Quilting Arts TV. In 2012, I recorded two video classes for Craftsy.com, Inspired Modern Quilts and Creative Quilt Backs. Somewhere in there I also founded the Portland Modern Quilt Guild and was a Board Member of the national Modern Quilt Guild for four years. 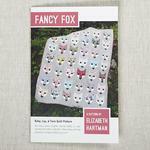 In 2014, I started selling wholesale print patterns and have been thrilled with the positive response. More recently, I’ve joined the world of fabric design, with my first print fabric collection for Robert Kaufman, Rhoda Ruth, shipping in Fall 2015. I love what I do for so many reasons, but the best part has to be seeing what other people make with my patterns. Being able to do creative work as my job is great. Giving other people the tools to do their own creative work is amazing. Keep quilting, everyone!